Posted up in the hippest neighbourhood of Chiang Mai, Akyra Manor is an all-suite luxury hotel devoted to signature experiences that can never be forgotten. It is the complete luxury package, promising urban style and sophistication while enjoying true Thai hospitality and local cultural experiences. With only 30 suites available, there is a feeling of privacy and personalization. Upon check-in, you will feel totally at ease as the full team at Akyra Manor are ready (with huge smiles) to make you feel right at home. Start things off with a delicious lychee martini and get ready for the ultimate treat. Straight ahead lies Italics, a dining experience celebrating a fusion of Italian and Thai dishes. 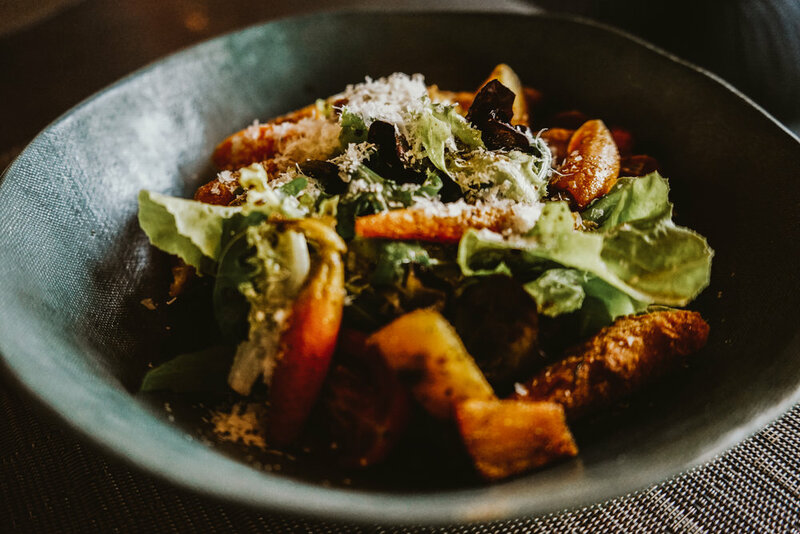 Lead by Executive Chef Phubase, the concept is all about innovative Italian plates showcasing local products and growers in an artisanal style and upscale ambiance. Dinner reservation is highly recommended to avoid disappointment. The Akyra Manor Suite (only 7 of its kind) is thoughtfully designed with no detail overlooked. 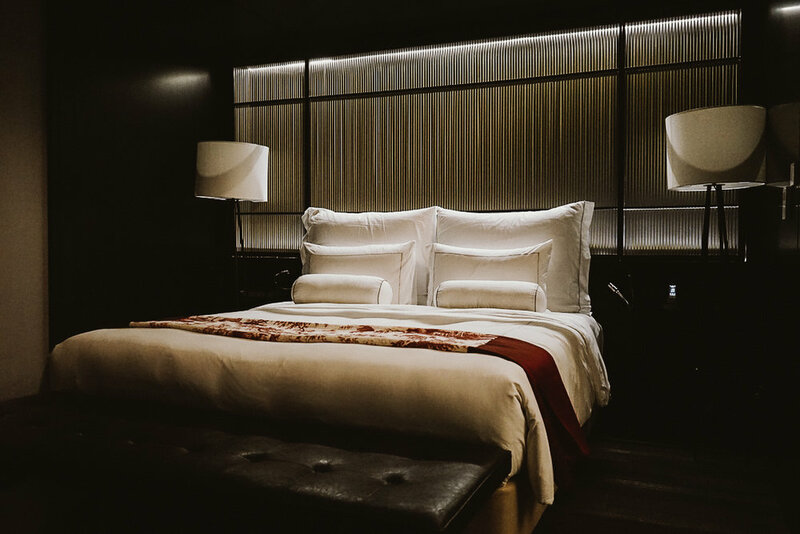 Each suite is crafted around a room-within-a-room concept, especially considering privacy and individual moments of enjoyment. Exploring the suite, you’ll find small touches of detail that exude beauty in the simplest form. 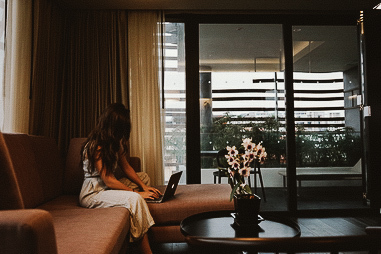 The suite is carefully decorated with modern conveniences such as surround sound Bluetooth speakers with an Akyra Manor-curated playlist for day and night vibes, two LCD TVs, reading spotlights for bed, his and her individual set of naturally-sourced personal care items, espresso machine and many many oversized luxury towels. THE TUB. What more could you ask for? This delicious soaking experience overlooks the city and offers sounds and smells of being outdoors. Unwind from the day by slipping into a bath with naturally-sourced bath salts and drift off into pure relaxation. Looking for some privacy, touch-sensored dials are available to automatically lower the drapes for a more intimate experience. Next, melt into 430-thread count Egyptian cotton sheets with plush duck down pillows. Akyra Manor understands how important a good night’s sleep is to a successful day, so to ensure you feel right at home, they’ve prepared a menu for you to choose the perfect pillow. But it doesn’t end there - pair your pillow selection with your favourite scent for an dreamy aromatherapy experience. The exclusive blend of essential oils offers calmness and clears the mind for a truly restful slumber. Breathe deeply for best results. Wake up to a delicious brunch at the Italics restaurant and lounge on the first floor. Tempt your tastebuds with savoury and sweet dishes like the Crab Royal Benedict, Zucchini Fritter and Banana Nutella Roti. Soak in pure sunlight on the 8th floor, where you can find a deep blue swimming pool surrounded by plush pillows and loungers next to the RISE bar. Take in the views overlooking the city and enjoy the escape from the fun yet bustling district. In the evening, enjoy a signature cocktail during Happy Hour where it’s always buy-one-get-one. 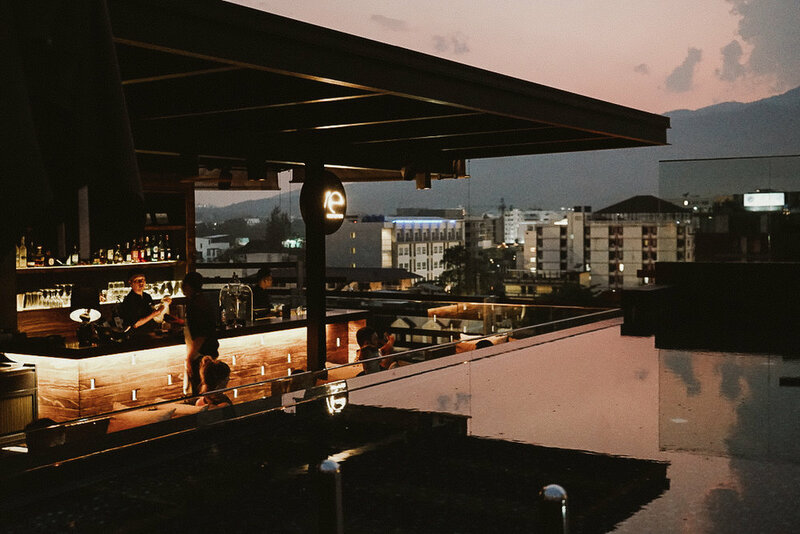 Staying at Akyra Manor gives you the treat of enjoying the trendiest neighbourhood in Chiang Mai while soaking up the comforts of a truly luxurious stay. During your time at Akyra Manor, discover the endless array of local award-winning coffee cafés, art galleries, mango sticky rice food carts, hip bars and spas. Do select a special pillow mist. Try the Sweet Dream Mist (Lavender & Chamomile). 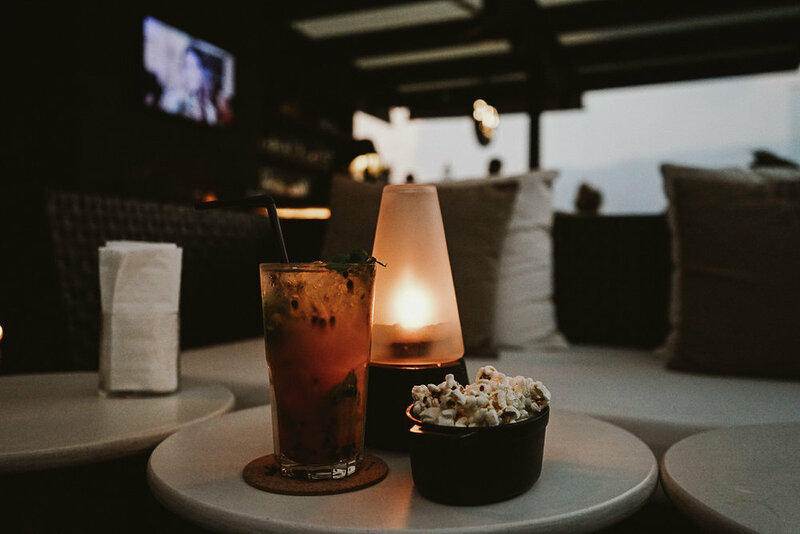 Do enjoy a cocktail at the RISE rooftop bar. Sample one of their unique mixes like the Passion’ista Mojito. Do soak in the bathing tub. Enjoy naturally-sourced bath salts. Christophe Gestin, Natalie, Goi, Por & Pond.